It was fall of 2017 when I first looked up at the ceiling of my room and noticed something strange. There were dots and clumps of a green-black substance beginning to grow. Immediately, I thought it had to be mold and that I needed to get out of my room. This was reported to my house manager and he put in a work order to Facilities Management. Within a week, someone came to my room, wiped off the ceiling, and left. I was never told what the substance was, but I was happy it was off my ceiling, so I did not care. Fast forward to this semester. Just a few weeks ago, I received a message that air quality tests were being performed in my room to make sure everything was normal. I went back to my room, looked up at the ceiling for a second time, and noticed that the same substance was growing there again as in the previous semester. I was told that everywhere in the house was tested and the results for mold were negative. This was exciting, but it did not seem to explain what was still on my ceiling. I then took it into my own hands and got in touch with the Office of Residential Life & Explorations to explain my situation to them. They informed me that there was no mold growing on my ceiling and that it was just mildew. They said this like it was nothing; like mildew does not make you sick or give you respiratory problems. It was as if this is not a big deal and that I will be just fine with it growing on my ceiling. I was annoyed by this and I pushed harder to express that this needed to be taken care of; I should not be living in conditions like this. The staff at Res Life told me that they understood and that I would be on the top of the list for Facilities to come clean it off and fix the problem. This was great news. I was expecting for this to be taken care of within the following two days. However, it has now been almost a week and I have heard nothing from Res Life or Facilities Management. In addition, I asked my house manager if I could recieve the test results from when my room had the air quality tests performed. He responded that he did not know if that is information that can be shared with students, but he would find out for me. That was also a week ago and I have not yet received any information from him or the Office of Residential Life & Explorations. To sum up this whole experience, the Office of Residential Life & Explorations is not releasing the air quality test results to students, and they are also not taking this seriously. I feel that they are greatly risking the health of the students that live on campus at Rollins. The fact that I have to wait this long for my room to be cleaned so that it can be a livable space is ridiculous. The school is continuing to push this down and claim that this is not a problem when it most definitely is. Students cannot be expected to stay on campus with conditions like this when the expense of room and board is nearly $15,000, according to the Rollins website. 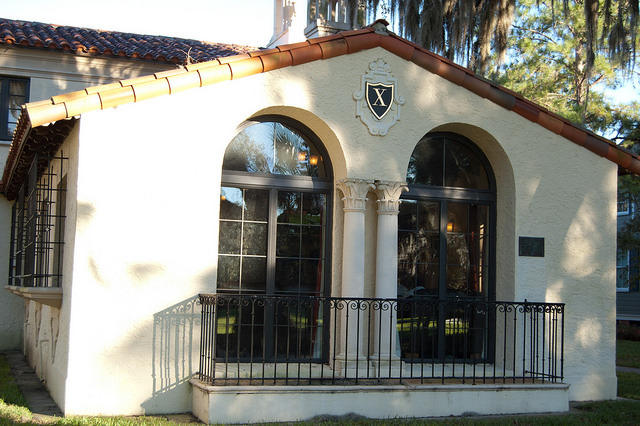 I am calling on Rollins College, Office of Residential Life & Explorations, and Facilities Management to address these issues and fix our on-campus living situation.